In an ideal world, all cricket would be played on good quality natural pitches. However, clubs at all levels are under pressure to ensure that games and coaching sessions go ahead as often as possible – due to climatic conditions and the cost of maintaining natural turf pitches, artificial cricket pitches are becoming an increasingly popular choice to keep players engaged. Over the years, artificial cricket pitch specialists have invested in the development of non-turf cricket pitches that are designed to mimic the performance of a good quality natural pitch. 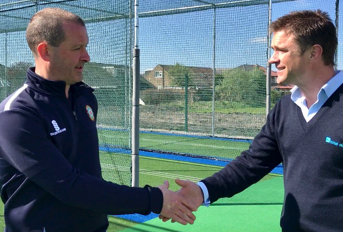 The results are so successful that the England & Wales Cricket Board (ECB) has opened up the option of using artificial cricket pitches to clubs from grass roots to first class level. Now, as well as being increasingly common for practice purposes artificial cricket pitches are being used for competitive play in both junior games and the popular T20 format. This, combined with the lower maintenance costs compared to producing a good natural surface, mean it’s little wonder that many clubs and councils are redirecting their investment towards synthetic surfaces. A driving force behind the rise of artificial cricket pitch popularity has been the ECB itself; which has put in place a set of criteria that artificial cricket pitches must meet to gain the board’s approval. To qualify for funding from various governing bodies for sport, clubs must install an ECB approved artificial cricket pitch design – one which meets all of its ‘Performance Standards for Non-Turf Cricket Pitches Intended for Outdoor Use’. This comprehensive document provides benchmarks which pitch designs must meet to gain ECB approved status. Performance Requirements cover “the ball/surface and player/surface interactions considered necessary to allow a satisfactory game of cricket to take place”. Construction Requirements “define the dimensions, tolerances and gradients for match pitches and practice areas to ensure they provide a satisfactory playing environment”. And Materials Requirements “define the quality of the synthetic material used to construct non-turf pitches to ensure they will last for a realistic period of time”. Depending on the level of play the artificial cricket pitch is required for – 1. Junior (under 12s); 2. Club/Recreational and 3. First Class Cricket and Centres of Excellence – the performance benchmarks will vary. 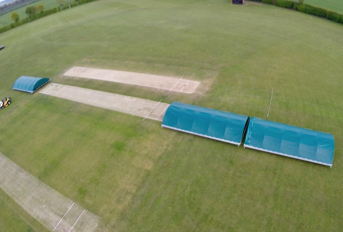 Artificial cricket pitch designs are put forward by suppliers for rigorous testing across all of these areas with the surface tested in site tests; in wet area conditions and in the laboratory. If a design meets the necessary requirements for performance, construction and materials it then undergoes Identification Tests. This sees the construction of materials used thoroughly tested so they cannot be replaced by inferior alternatives. The materials having been identified, the system is then deemed an ECB approved artificial cricket practice pitch system design and may be used for match play, practice, coaching and general training at the level to which was proven to perform. Alongside this thorough testing of system designs, the ECB offers suppliers the chance to pass its voluntary ‘Code of practice for design and installation of non-turf cricket facilities’. This sets out the recommended minimum standards for designers, installers and suppliers of approved systems. When seeking external funding for a new artificial cricket pitch, clubs must appoint a supplier that not only offers an ECB approved system design but holds the Code of Practice supplier status. When it comes to the design and installation of ECB approved artificial cricket pitches, total-play has been a leader in the field for many years. The company was the first to pass the ECB Code of practice for design and installation of non-turf cricket facilities supplier status; and has since developed a range of no less than three ECB approved artificial cricket pitch systems. These include the flagship tp365 system which, featuring a premiere wilton woven carpet, exclusively designed ‘HD Protection Tunnel’ netting system and a dynamic base which has been designed to offer a balanced game between bat and ball and encourage turn. 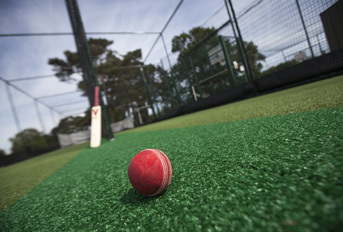 tp365 can be found at clubs playing from glass roots to professional level across the country in both artificial match pitch form and synthetic cricket practice net facilities. tp5t shares tp365’s dynamic base, netting designs and all of the playing characteristics but with a less inexpensive – tufted – carpet. 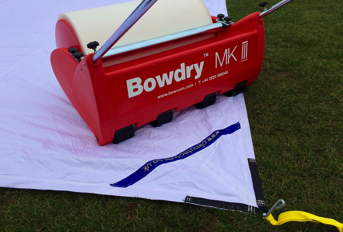 tpB1 is the latest addition to the range; offering a bound (Asphalt) base option. The tpB1 system comes with a premiere wilton woven carpet and the netting system used with the tp365 system. The bound – or engineered – base design offers greater stability in flood risk areas and, initially, lower maintenance requirements in high-use sites. 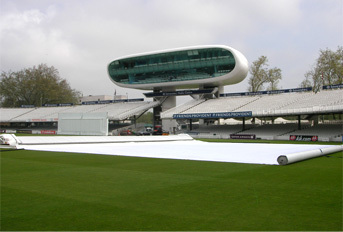 All three systems have been designed by cricketers and groundsmen in conjunction with scientists to ensure the best possible performance, and have been thoroughly tested and approved by the ECB in line with its ‘Performance Standards for Non-Turf Cricket Pitches Intended for Outdoor Use’ document. Over the years, total-play has installed its systems at league clubs, leading independent schools and county grounds across the country. 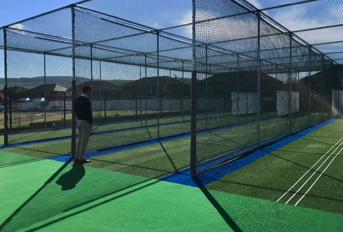 Every project incorporates bespoke elements designed to meet the client’s individual needs – from additional preparatory ground works through to features like white coaching lines, batting curtains and security gates on practice net facilities. While no two projects exactly the same, total-play’s dedicated in-house team of grounds operatives take every care to ensure that the artificial cricket pitch is installed in line with the ECB Code of Practice and to the precise specification and performance standards defined by the design’s ECB approved system status.